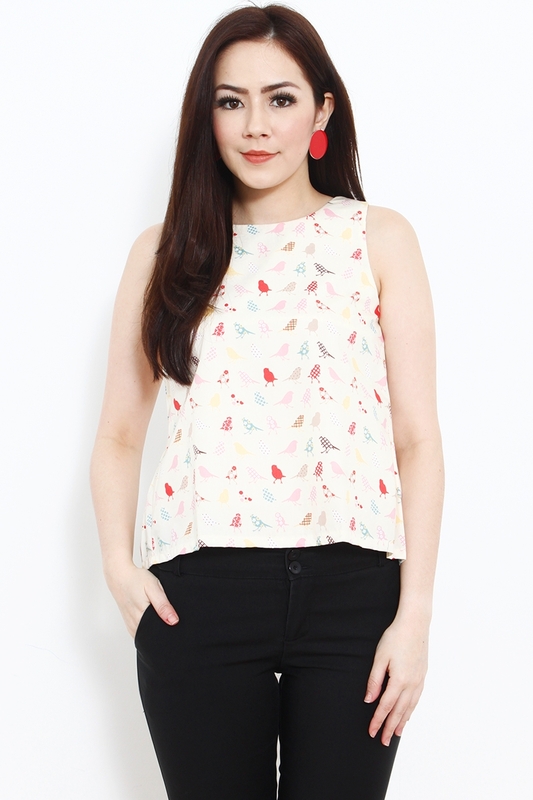 Don on this pretty top with pretty origami sparrow prints that’s made with a gathered dip back. Pair with cigarette pants or pencil skirt and high pumps. 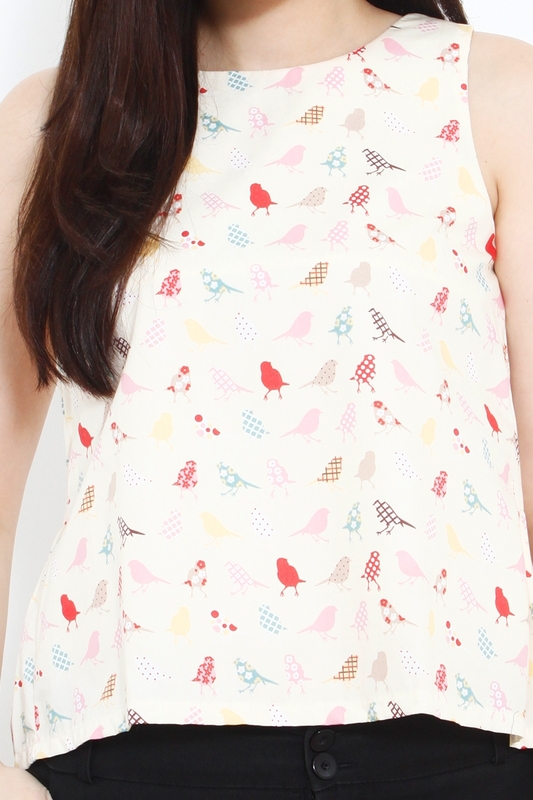 Concealed back zip.